Play4Free is a collection of the best free to play online games offered by EA, including hits from top franchises such as Battlefield and Need for Speed. 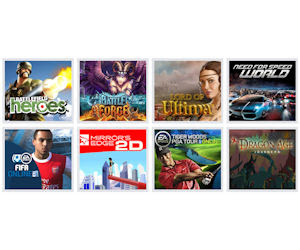 Each game is free to download and play; you decide if you want to pay, and how much. If not, you can still play as much as you want for free and still enjoy a premium game experience. A freebie isn't a freebie unless it's free! If a website wants you to pay for a freebie, then don't request it. If they ask for shipping cost, you'll have to decide if it's worth it to you.